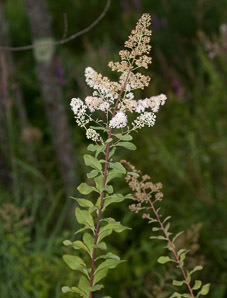 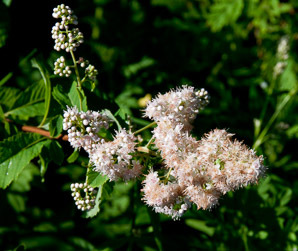 Meadowsweet is native to North America. 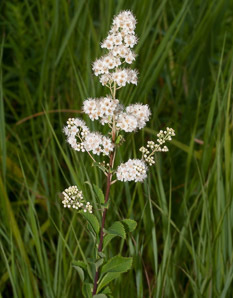 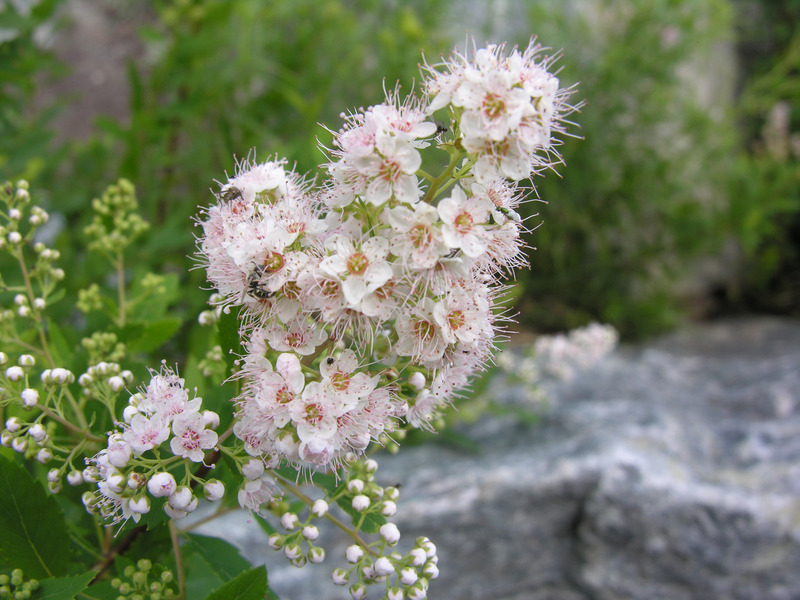 The similar-appearing Spiraea latifolia has recently been reclassified as a form of this species. See also steeplebush, a pink relative. 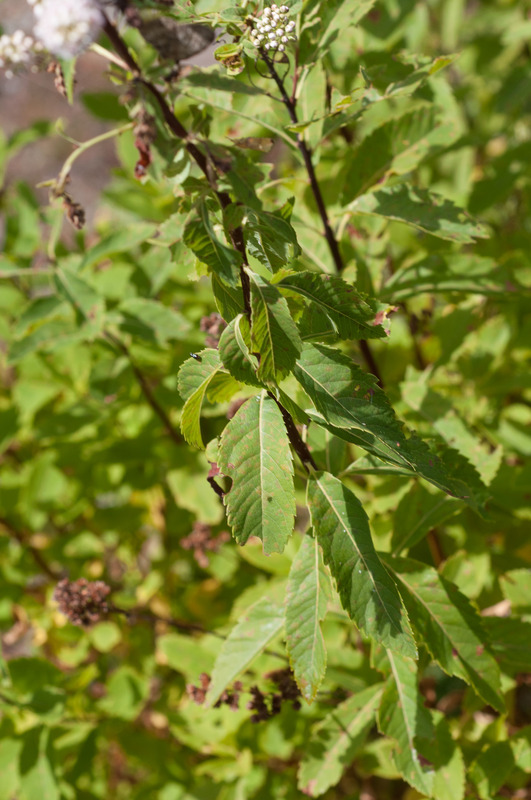 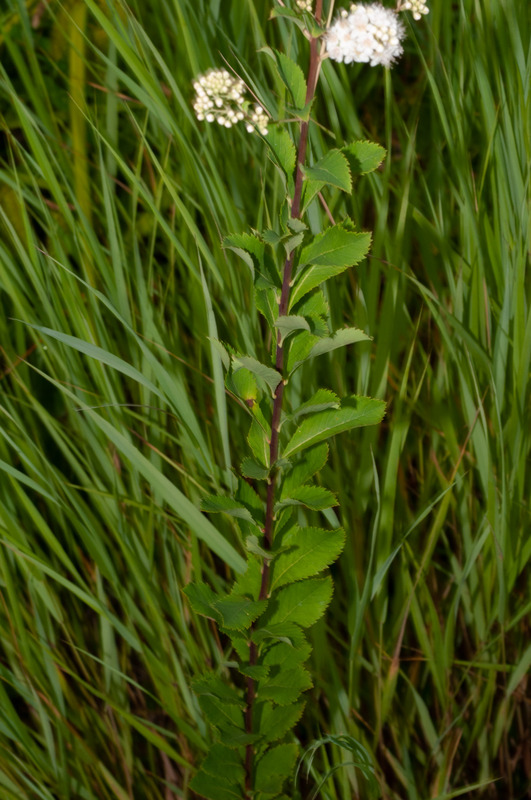 Identification: This shrub is 24-72" (60-182 cm) around, with multiple stems that are rarely branched. 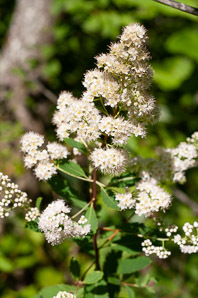 (Browsing by animals sometimes produced more densely branched bushes.) 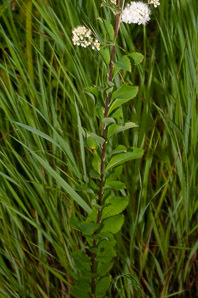 Stems are brown or yellowish brown. 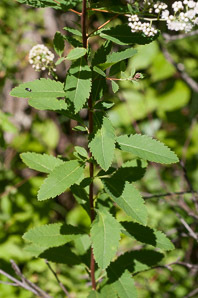 Leaves are alternate, green and textured above, paler in color beneath, narrowly ovate, and sharply toothed. They have pinnate veins and short stems, and are 1¾-2½" (5-7 cm) × ⅜-¾" (1-2 cm). 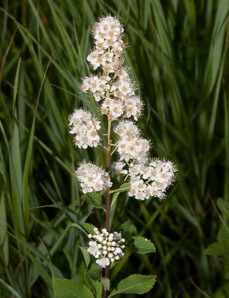 The most notable feature is the large, densely flowered flowerheads: panicles 2-6" (5-15 cm) long, composed of individual flowers less than ¼" (6.3 mm) around. 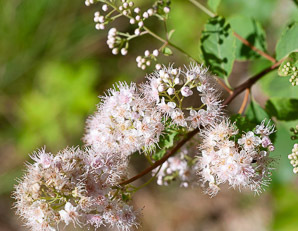 Each flower is white or pale pink, with five petals and a large number of stamens. 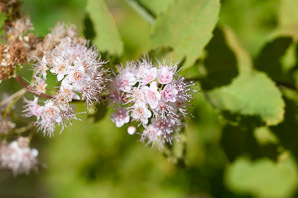 They flower from June to September. Fruits are pod-like, persisting long after flowering. 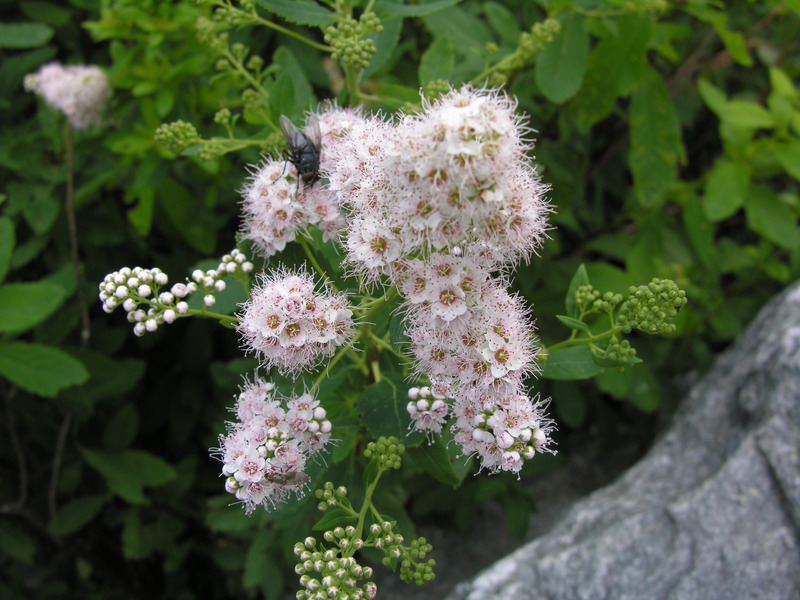 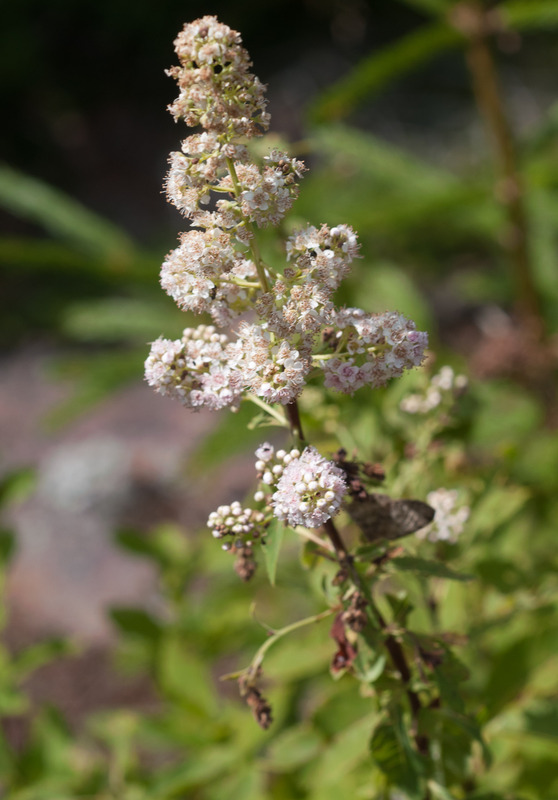 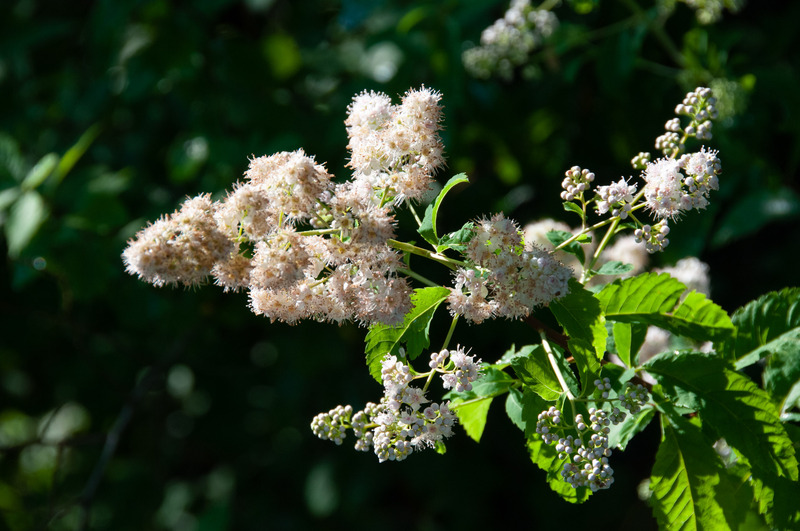 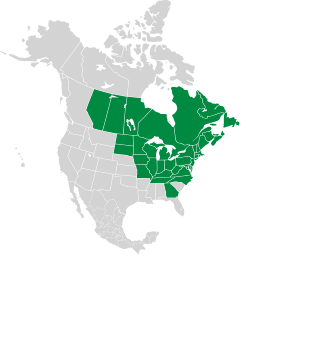 Spiraea alba description by Thomas H. Kent, last updated 12 Oct 2018.